Posted by Teresa Mihelic HelpDesk on Friday, May 24th, 2013 at 1:04pm. Known as 'The Links' in the sought after area of Monarch Beach in Dana Point, the golf course is a popular one in Orange County. The Golf. The amazing natural beauty of a golf course that leads into front views of the Pacific and variety of challenges, makes this one a favorite one for the locals and tourists around the world. 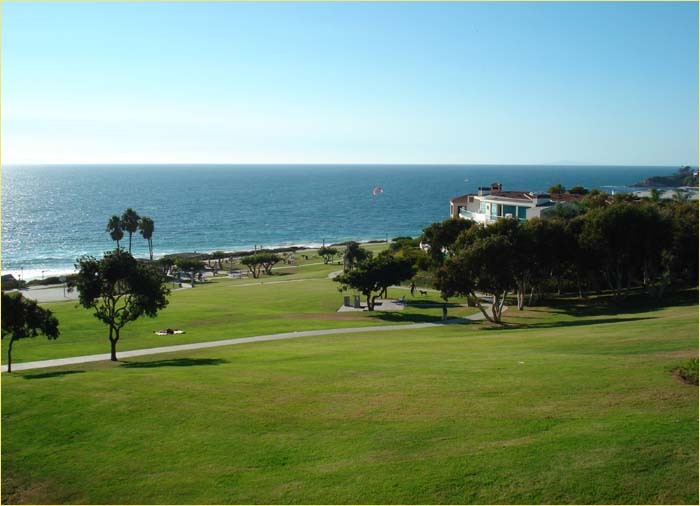 A true master piece, the golf course is one of the few oceanfront golf courses in all California. The Homes. Of course some lucky ones get to live surrounded by this beauty. Views of the greens, the bluffs nearby and of course the ocean, make the homes sorrounding the golf couse always in high demand. Monarch Beach Golf Course Homes include Neighborhoods like the Ritz Cove ( adjacent to the Ritz Carlton, and also a beach front neighborhood), that have wonderful views of the course. The Estates at Monarch Beach and Pointe Monarch have many homes whose backyards open up to the Golf Course. The Monarch Hill Condos at Ritz Pointe also provide golf course views. And many homes, even when they are not necessarily very close to the golf course, because of Dana Point's geography provides many hills, many other homes in nearby neighborhoods, like Monarch Bay and Monarch Beach Terrace get wonderful distant views of the golf course. Many of these homes will also have other desired amenities, like private pools, ocean views, chef's kitchen and others. Are you looking for a home near this beautiful Golf Course? Let us help you. We know the area very well and are experts in Dana Point Real Estate transactions. Contact us, we are happy and ready to help!